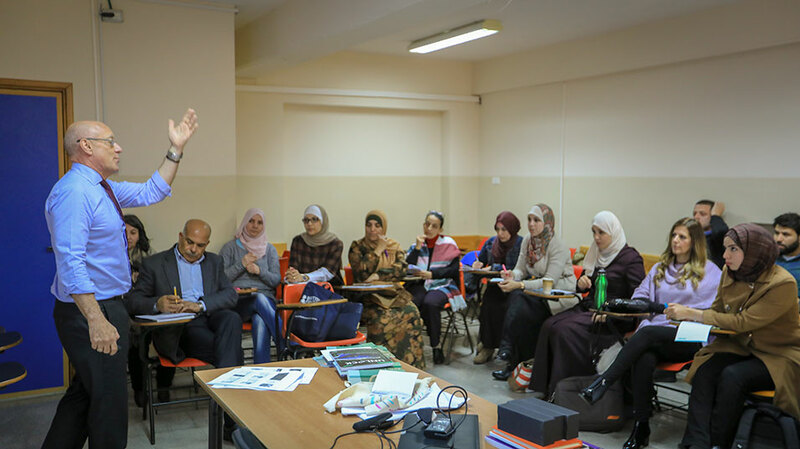 The Department of Languages and Translation at Birzeit University held a Teaching English as a Foreign Language (TEFL) training workshop for its teaching staff on Wednesday, March 6, 2019. 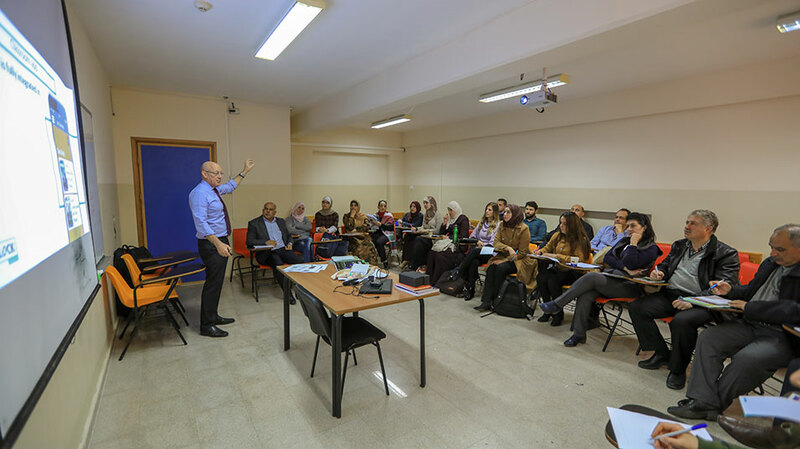 The workshop was led by Peter Lucantoni, a senior trainer and consultant at Cambridge University Press, and covered three main topics: introduction to Unlock Second Edition, the teaching of critical thinking and academic writing. Mr. Lucantoni briefed the teachers on the main changes to the recently-developed Unlock Second Edition that includes new critical learning objectives for students and a revised teacher’s manual that focuses on professional development. The new edition, Lucantoni noted, incorporates feedback from various studies that were carried out with the help of professors and instructors worldwide. As a result, it now comprises six levels and fosters the development of critical thinking and academic writing skills, along with other language skills, throughout the duration of the course. This workshop is the latest in a series designed to familiarize instructors in the Department of Languages and Translation with the Unlock program and its updates. In 2017, Lucantoni led a workshop on various teaching techniques that teachers can employ in classrooms to extract the utmost benefit from the new textbooks and online workbooks. The Unlock program offers a fresh approach to the teaching of critical thinking skills and enables learners to develop academic and language skills that will help them succeed in their studies. It combines situation-based language competencies with linguistic skills and functions. The use of technology in feedback fosters learner autonomy. The program aligns with the Common European Framework of Reference for Languages, a guideline used to describe and assess achievements of learners of foreign languages across Europe. The framework divides learners into three categories and six levels.